Visit us today for a safe, wholesome day of fun for the entire family! Are you looking for some fast-paced fun in El Paso? 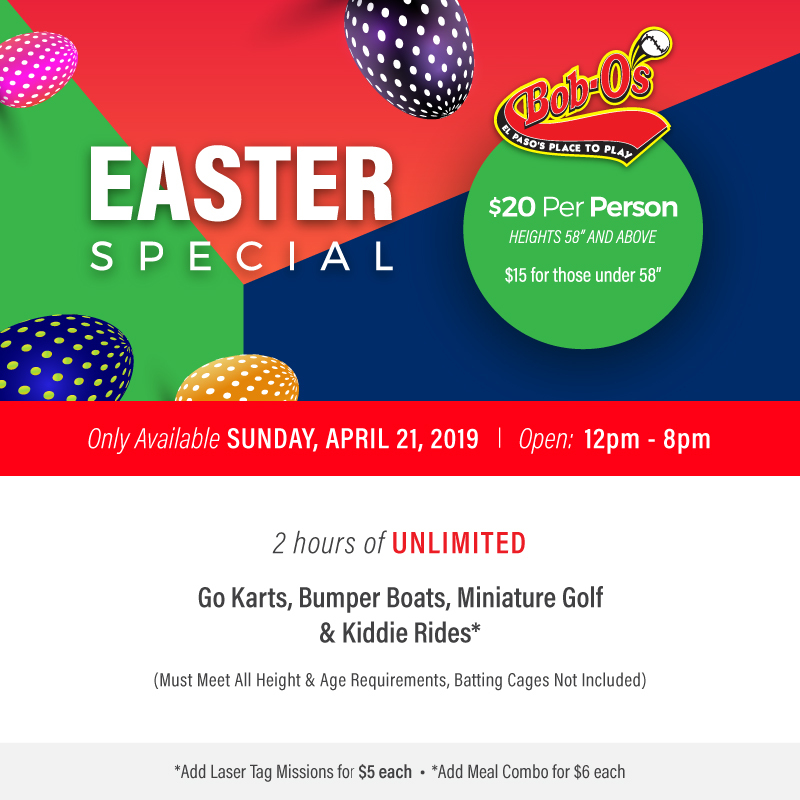 Put the pedal to the metal at Bob-O’s Family Fun Center! Our go-kart track is one of the best in the region. You’ll go as fast as you can, racing your friends and family. The wind will flow through your hair as you zoom across the track. At Bob-O’s Family Fun Center, we’re completely devoted to providing fun for the entire family. For this reason, we offer go-karts as well as mini go-karts. No one should be left on the sidelines when it comes to having fun. 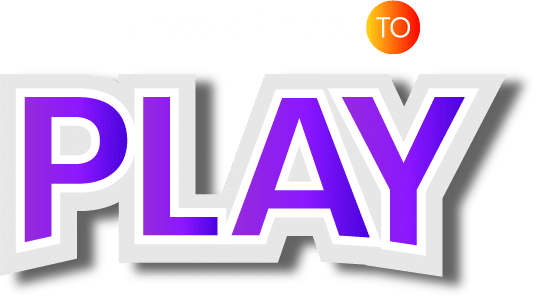 Bring your friends and family to El Paso’s place to play! Everyone loves to have fun. For this reason, Bob-O’s Family Fun Center has a few rules patrons must follow in order for everyone to have as positive of an experience as possible. Below, you will find rules and pricing for our go-karts and mini go-karts. By following these rules, your entire group will be able to have the most fun. Ready, set, go! Contact Bob-O’s Family Fun Center, Today! Go-karts are great for people of all ages. 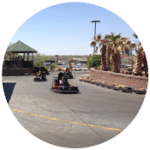 Whether you’re a tween who’s got a need for speed or an adult who’s tired of all the constant traffic around town, you can put your skills to the test at Bob-O’s Family Fun Center. The freedom of being able to zoom past others as fast as you can is unbridled. Our go-kart track is designed to be both exciting and enjoyable. You’ll speed past palm trees, take sharp turns, and cross the finish line. Then you can go again and again, to your heart’s content! If you’re ready to race your friends and family, visit Bob-O’s Family Fun Center. It’s our goal to provide El Pasoans with a reliable place for fun. With our go-karts and mini go-karts, everyone can participate. Give us a call today to learn more about what we have to offer!